Alice Production, the international division of the Lavinia Group, has been working at full capacity over the last few weeks due to the FIFA World Cup being held in Russia. The Lavinia Group has a permanent delegation based in Moscow that has been offering services to broadcasters all around the world from its studio with spectacular views of the Kremlin, as shown in the picture. Alice Production’s services in Russia include 4G backpacks (LiveU, TVU and Aviwest), complete ENG services, editing stations, reporters and multilingual production services. Alice Production has a healthy network of branches that provide services to different televisions around the world. 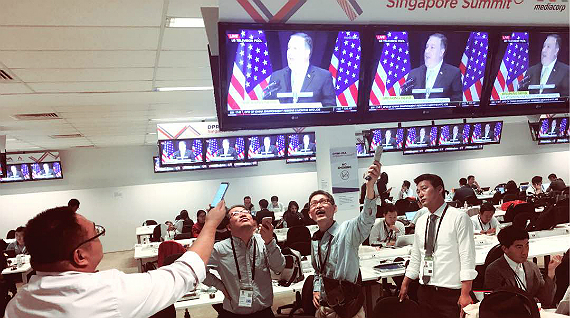 With 22 offices distributed in nine countries, it operates internationally for more than 50 broadcasters. Views from Alice Production oficce in Moscow. The Lavinia Group is continuing to consolidate its international activity through its branches in Brussels, Berlin, Paris, Beijing, Washington, Beirut and Moscow. The Russian capital in particular has been one of the hubs for news in recent weeks. In addition, the Lavinia Group has been strengthening its Audiovisual Services in recent months to promote and develop in the international arena, especially through its news offices in Europe, Asia, Africa and America, as well as its consolidated client portfolio. In March, Xavier de Pol was appointed as the new general manager of Audiovisual Services and more recently, Eulàlia Carbonell as the operations manager. De Pol had, until then, been the general audiovisual manager at the Godó Group y Carbonell had been CEO of 8tv. They will reinforce one of Lavinia's most important business areas to face its challenges of internationalization and technological innovation, as well as the growth and diversification of the operations in the different markets. 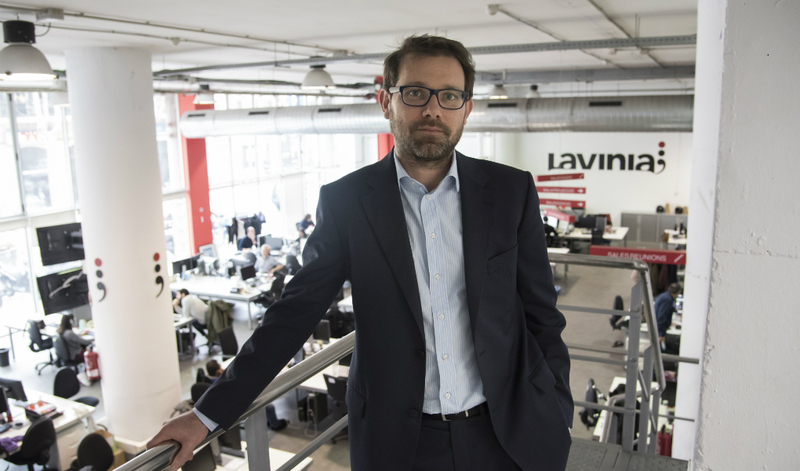 More recently, the company has also been joined by Germán García has also been incorporated as the new commercial manager of Lavinia's International Broadcasting business, an area managed by Mar Farré. Garcia has arrived from Dorna Sports to promote and develop the Group's international business through Lavinia Services and Alice Production. Lavinia Services is one of the Group's biggest business areas, along with end-of-end services for brands and the creation and production of content for TV. Lavinia Services is in charge of media outsourcing; production services for television producers and television channels; live broadcasts; events; current affairs; styling, makeup and hairdressing; graphics and post-production; as well as set design and construction. For its part, Alice Production, an international division of the Lavinia Group based in Brussels, produces its catalogue of content and services in Europe. Specialized in the production and supply of audiovisual services, it has more than 24 years of experience and a solid reputation in the sector.